During WWI Jaekel was busy in the Junkers design office. He was responsible for several marine design aircraft, starting with the Junkers JM.1 in 1916. Jaeckel worked as a ship designer until 1915 and joint Sablatnig Flugzeugwerke in 1916, but moved to Junkers shortly later. 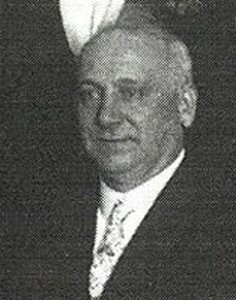 Dr. Walter Jander became a member of the board of directors at JFM in May 1940. Graf Jankovic was one of the founders of Ungarischer Aero Express in December 1922. He was a member of the supervisory board of Transeuropa Union until 1924. Walter Jastram belonged to the Geschwader Sachsenberg during WWI. In 1922 he joint Junkers Luftverkehr and participated in the Junkers South America Expedition during 1923. He remained in South America and founded Lloyd Aero Boliviano - LAB in 1925. In 1933 he started the sale of Junkers products until 1936, when he took over responsibility at his father's "Motorenfabrik Carl Jastram Hamburg-Bergedorf". Josef Jurinek was a consultant of Adler, the owner of Bayerischer Luft-Lloyd. He promoted the foundation of an airline already in 1917. With the integration of Bayerischer Luft-Lloyd into Junkers Luftverkehr, Jurinek became member of the Junkers PR Office in 1923. He was responsible for the editorial of the "Jahrbuch fuer Luftverkehr". In October 1925 Jurinek was fired by Transeuropa Union. Dr. Gottfired Kaumann belonged to the Sachsenberg Geschwader during WWI. He joint the Junkers Luftverkehr in 1922 and became member of the boards of directors as the managing director of Lloyd-Junkers Luftverkehr. 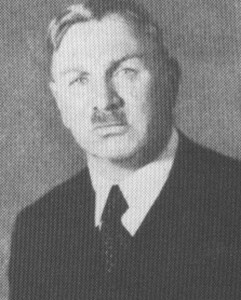 In 1923 Kaumann was appointed chairman of the TREU. In August 1924 Kaumann became member of the board of directors of Junkers Luftverkehr and of Rumpler Luftverkehrs AG. In 1926 he was engaged in the liquidation of Junkers Luftverkehr and later moved to Luft Hansa. At the end of the twenties Kaumann returned to Junkers and became selling manager for Japan and China and later Kaumann was member of the managing director board of IFA. He left Junkers in December 1931 after disputes with Junkers, but returned in January 1935 to the board again for a short while until May 1935. After WWII Kaumann worked in positions outside the aviation industry. Georg Kaye joint Junkers Luftverkehr in July 1924. When JLAG and DAL merged, Kaye stayed at JFA in 1926. In Dec. 1928 he finally left Junkers. Wilhelm Keppler became a member of the Supervisory Board of the Junkers Flugzeug- and Motorenwerke A.G. in 1936. He represented the governmental ownership of JFM. The Reich became the largest Junkers shareholder in 1934, when Hugo Junkers sold most of his shares to the Reich. He flew first the Junkers Ju88 on 21.12.1936. On 04.06.1938 Kindermann achieved a world record with Junkers Ju89 D-ALAT, when Kindermann climbed up to 9312 metres with 5000kg payload. Four days later Kindermann reached 7242 metres with 10000kg payload. Kindermann was joined by the Junkers pilot Wendel and by Werner Hotopf during this flight. After WWII Kindermann became president of the Hugo Junkers Gesellschaft. Frido Kirchhoff joint Junkers in 1925. He worked in the technical customer service. He was also engaged in the setup of the Greece air transport in Athens. He left Junkers in the thirties and joint the Aviation Ministry in Berlin. Franz Kleinhenz joint Junkers in 1924 and was sent to Fili as a construction engineer. Walter Kleinsorge studied at the Technical Highschool in Hannover and started his career at the Bamag in Dessau in 1927. In 1934 he went to Junkers Flugzeugwerke and in 1935 he was engaged in the developement of brakes within the Junkers Motorenwerke. In 1936 this departement was transfered to Breslau into the Fahrzeug- und Motorenwerke (Famo). In 1945 Famo was again transfered to Nordhausen, where facilities were built in former caves and mines. But before Famo could be moved into the subterral facilities most toolings were destroyed during an air raid in April 1945. In August 1945 the Allies decided to continue the developement of Kleinsorge's eddy-brake at Elze near Hannover. A short time later Kleinsorge founded his own company at Elze, which still produced the Junkers brake for years. 1892 - 1921 Junkers Civilingenieur, later Junkers + Co.
Otto Knick was one of the earliest workers at a Junkers company. He already joint the Hugo Junkers Civilingenieur company in May 1892. Hugo Junkers himself stated, that Otto Knick had the original ideas of metal constructions and that he intensively formed Junkers thinking about utilization of metal structures. Otto Knick was also engaged in the construction of the first Junkers aircraft, i.e. the Junkers J-1 and the Junkers J2. William Knight belonged to Ford Motor Company since 1920. In Europe he was technical assistant of the National Advisory Board for Aeronautics. In 1924 he joint the Supervisory Board of the U.S. Junkers company Jucoram. Alfred Koestner joint Kurt Weil in his Persia engagement for Junkers Luftverkehr Persia in 1927. Koestner took over the position of the technical director of that airline. 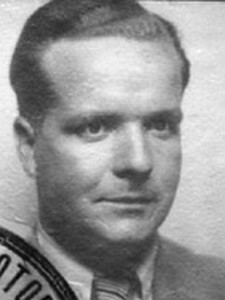 Josef Koehler was the operational manager of the Junkers Flugzeugwerke facility in Dessau. 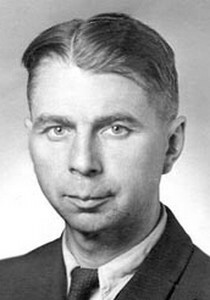 Rudolf Kollmorgen was responsible planer of the Junkers Stammwerk Halberstadt from 1936 to 1945. He was also responsible for the pre calculation in Halberstadt. Heinrich Koppenberg became chairman of the Supervisory Board of IFA and managing director of JUMO on 24th November 1933, after Hugo Junkers was forced to drop both positions by the Nazis. Koppenberg was already managing director of the Flick consortium. Under his leadership the Junkerswerke were developed to one of Germany's most powerful armament facilities. He integrated Junkers Flugzeugwerke AG and Junkers Motorenbau GmbH into the Junkers Flugzeug- und Motorenwerke AG in 1936. He was also responsible for the massive expansion of Junkers facilities throughout Germany. In January 1941 Koppenberg left the board of directors of IFM, followed by Dr. Leo Rothe. Koppenberg already left the IFA supervisory board on 16th December 1937. Since 1941 Koppenberg was responsible for aluminium production in Germany and the occupied countries. After the end of WWII Koppenberg tried to reactivate the former Junkers consortium. He was killed by accident in 1960. Heinz Kraft studied Engineering at the Technical Highschool of Munich. In 1923 he Joint the Shipyard of Stralsund. Later he moved to Rohrbach, Heinkel and Henschel. Kraft was member of the Junkers construction office since 1936. He was typ Manager of the Junkers Ju90 and was later engaged in the development of the Junkers EF77 airliner at the Prague design offices, as well as the Junkers Ju252 and the Junkers Ju290, which were both designed at Prague. The Junkers Prague office was headed by Kraft during WWII. In 1946 Kraft returned to Germany and worked at Halle. In 1948 he moved to Frankfurt, where he built up the Oxygen Facilities at Griesheim. In the 1950s Kraft was engaged in the builtup of car production facilities. Paul Kratz joint the Junkers construction office "S" (shipping) in 1911. In 1912 he changed to the Research Institute of Junkers at Aachen and in 1919 he went to Dessau and joint the Junkers engine departement there. Later he became the responsible manager for the Junkers Training Center and in 1931 he became chief engineer of Junkers Motorenbau GmbH. Ernst Kredel was a member of the Sachsenberg Geschwader. In 1924 he joint Junkers Luftverkehr and became member of the PR Department of JLAG. In 1926 he moved to Lufthansa and became responsible manager of the PR Departement there. In 1929 he joint Nordbayerische Verkehrsflug AG and later he moved to Luftwaffe. ???? - 1917 Junkers + Co.
Ing. Kreglewsky was an engineer at Junkers + Co during WWI. In 1917 he left Junkers and joint Gebrueder Koerting at Hannover. 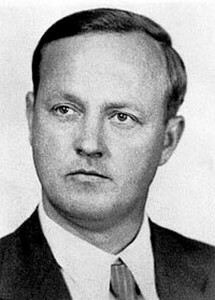 Adolf Krogmann was a close assistant of G. Sachsenberg. He was already a pilot trainee at the Centrale fuer Aviatik in 1913. During WWI he was pilot at the Feld Flieger Abt. 63 in Galicia. After WWI he studied Jura and in 1920 he founded the "Hanseatisches Luftverkehrsbuero". In 1923 he joint Junkers Luftverkehr and headed the secretary of Sachsenberg. When Junkers Luftverkehr was absorbed into Lufthansa, Krogmann remained at Sachsenberg's office until 1932, when he left Junkers for Deutsche Verkehrsfliegerschule. In 1935 Krogmann became head of the Aero-Club Deutschland and during WWII he was Adjutant of the Chief of the Luftwaffe Generalstab. After WWII he was foundation member of several German Aviation Societies until 1967. Johannes Krohn was a test pilot for several WWI Junkers aircraft. He tested the Junkers J8 on 19th March 1918. On 4th May 1918 he flew first the Junkers J10 and in October 1918 he was responsible for the comparisment of the Junkers J9 with other competitors in Adlershof. Josef Krueckel joint Junkers in 1936 as Koppenberg's personal assistant. Later he became manager of the Junkers Berlin office and as a technical director of the Junkers facility at Stassfurt-Leopoldshall. After WWII he was member of the board of directors of the Hugo Junkers Gesellschaft. Kuehnen was the head of the production planning departement of Junkers Flugzeugwerke during the early thirties. In this position he was engaged in the improvement of the serial production of aircraft, when high production rates were needed at Junkers Flugzeugwerke to fullfill the demand for Ju52 aircraft since 1932. Dr. Walter Kulenkampff was member of the Reichstag and the City of Magdeburg. He strongly promoted the extension of Magdeburg's airport during the early twenties. In 1924 he became member of the Supervisory Board of Junkers Luftverkehrs AG on behalve of DAL. Later he was a member of the JFA Supervisory Board until he died in September 1929. Dr. August Kupper was member of the Junkers Research Laboratories during the twenties. He was specially engaged in the Aerodynamical Departement. In 1930 he left Junkers and joint the DVL glider plane departement. August Kuerner joint Junkers in 1922. He became technical manager of the Malmo facilities of AB Flygindustri until 1933. Then he changed to the Stassfurt facility as its manager and later was responsible for the setup of the Bernburg completition center. Kuerner became member of the board of Junkers Flugzeugwerke in the mid-30s. After WWII he founded automobile supply company at Stockstadt with some other Junkers people. Prof. Walter Laas was the head of the Institute of Practical Ship Engineering at the Technical Highschool of Berlin since 1904. In August 1911 Laas was discussing about cooperations with Hugo Junkers. He promoted the use of Junkers engines for ships. John M. Larsen immigrated to the U.S. in 1892 from Denmark. As an engineer he designed, produced and sold cooling machines in the U.S.A. In 1919 he intended to sell U.S. aircraft in Denmark, but during his stay in Europe he also saw the Junkers F13 and was was interested in selling the Junkers F13 within the USA. Together with Junkers he founded the Junkers Larsen Corporation in 1920, which was responsible for the marketing of Junkers aircraft in the USA. Larsen managed to sell some of the modified F13 as JL6 to the U.S. Army and to the U.S. Postal Office. But due to a series of crashes the JL6 was grounded by both. Larsen also converted one JL6 to a war machine as JL12, but the U.S. Army was not interested in this aircraft and the joint venture was stopped after a few sales. 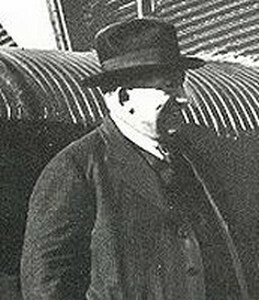 Kurt Lehmann joint Junkers in 1924 as an ensurance expert. He became head of the Mivermi, which was Junkers internal ensurance company. After WWII he moved to Gerling Konzern in Hamburg and he became a foundation member of the Hugo-Junkers-Society. Willi Lehmann was an aircraft mechanic at Junkers and studied at Stettin Aviation Engineering. In 1939 he became a test flight engineer at Junkers. In 1946 he Joint Baade at the OKB-I in Podberesje and performed flight Tests of the EF150. Since 1958 Lehmann was the head of the flight Departement at VEB Flugzeugbau Dresden. On 4 Mar 1959 he crashed with the Baade B152V1 at Dresden and was killed. Heinz Lehmann was a test Pilot of the Bernburg plant, where he performed the check flights with newly built Ju52, Ju88. In 1944 Lehmann performed high altitude test flights with the Ju388. After WWII Lehmann Joint the Volkspolizei. In 1955 he Joint the VEB Flugzeugbau Dresden, where he performed the check flights of the IL14P. In 1959 Heinz Lehmann followed Willi Lehmann as the test Pilot for the Baade 152 Programme. Heinz Lehmann remained test Pilot at VEB Flugzeugbau Dresden until his retirement in 1975. Dr. August Lichte joint the Junkers Research Institute in April 1934. He was responsible for the oil injection mechanism of the Jumo 210 and Jumo 211. In 1942 he became manager of the thermodynamic departement and chief engineer of the Junkers engine developement. After WWII he joint the Junkers Flugzeug und Motorenwerke GmbH in Essen, where he was responsible for the setup of an engine developement unit. In 1958 this company was sold to FUS. Between 1959 and 1962 he fought against the Federal Republic of Germany as the succeeder of the German Reich and asked for more refunding money out of the confiscation of the Junkers Research Institute and the Junkers companies. Lichte thought to invest this money for a new Junkers research programme. Fritz Loose was one of the early Junkers pilots. He performed the first flight between Helsinki and Stockholm for Junkers Luftverkehr in June 1924 with a F13 aircraft. In July 1927 he tried to achieve a permanent flight world record with a W33, but due to technical problem he was forced down. One month later he and Johann Risztics made a second approach together with Hermann Koehl and Edzard, who were looking for an adequate airplane for the transatlantic crossing. Loose and Koehl were forced down again, while Edzard and Risztics managed to perform the record flight. Later Loose was one of the first Junkers pilots, who tried to perform real instrument flights without any outside viewing. By this he was a pioneer of the night flight operations at Junkers. Loose flew most of the Junkers aircraft. He was engaged in record flights, test flights and ferry flights, as well as an airline pilot for Junkers Luftverkehr. From 1939 to 1945 Loose was the operational flight manager of Junkers Flugzeugwerke. 1912 - 1917 Junkers + Co.
Kurt Lottmann joint ICO in 1912. In 1917 he was one of the founding members of Junkers-Fokker-Flugzeugwerke AG. In 1918 he remained at JFA and took over economical positions at JFA. 1885 - 1887 Junkers + Co.
Robert Ludwig and Hugo Junkers were friends during their common studies at the Berlin University. In July 1895 Ludwig became a partner of Hugo Junkers at Junkers & Co. in Dessau. He gave Junkers the necessary financial backing for his studies and took over the economical parts of the company. Two years later, Ludwig left the Junkers & Co. due to disputes with Junkers about the majority of the ownership. Matthias Lurken was the managing director of the Kaloriferwerk Hugo Junkers in Aachen and later in Dessau. When he died in 1939 his position was taken over by Ingo Mayer.